Manchester United has the become the richest club in the world according to recent financial surveys of both “Forbes” and French financial firm “Deloitte”. Manchester United produced a record revenue of $850 million last year and that is without any champions league football. Below is the list of top 20 richest clubs both in terms of overall value of the club and according to yearly revenue. 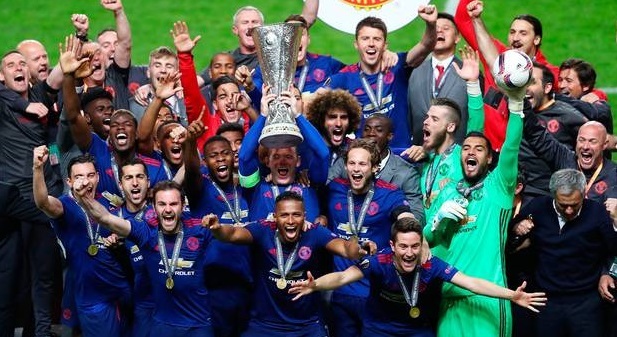 Manchester United overtook both spanish clubs Barcelona and Real Madrid as the richest club in the world and the trend is set to continue next year as United has qualified for champions league adding another $70 to $100 million to next year’s revenue. As far as top 20 richest clubs are concerned according to recent forbes valuation, eight premier league clubs feature in top 20 and we might expect a few more in couple of years time. Manchester United has overtaken both spanish clubs (Madrid and Barcelona) as the richest football club in the world since they manage to qualify for Champions League next season and combine that with new Adidas kit deal and several other shirt & commercial sponsorship deals around the world can put them in the league of their own. Financial institutes are predicting United to become the first sports team in the world to produced $1 billion in yearly revenue by 2020 if the recent trend continue. We have to consider factors like clubs matchday income, what country a club is from, their success on the field and its impact on the market value, social presence worldwide, high profile kit deals and shirt sponsorship, total yearly revenue and the debt situation of the club. Update: French sports money magazine “Deloitte” produces an yearly report on top 20 clubs according to their yearly revenue and here is the finding from the latest Deloitte “Football Money League” which was published in January 2017. 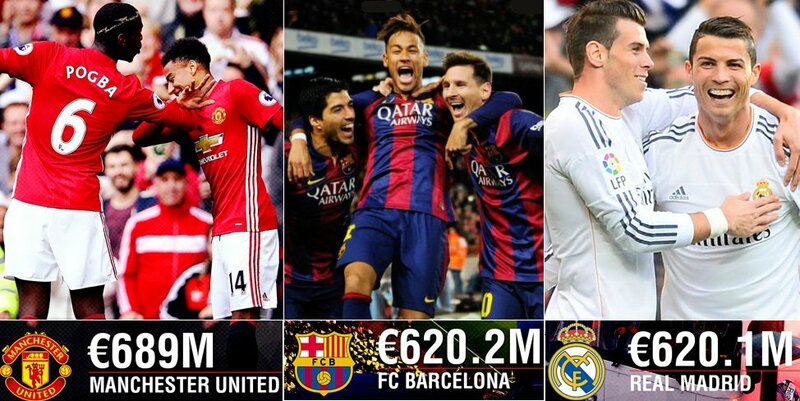 Manchester United has overtaken both Real Madrid and Barcelona in terms of yearly revenue as they tacked up record €689 million in 2015-16 season. 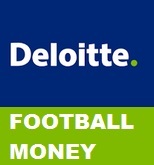 Deloitte divide the yearly revenue of a club in three streams, A) Match-day B) TV Broadcasting C) Commercial & Sponsorship. Since the original report features Euro (€) currency we have converted the yearly revenue numbers from euro to USD ($) as well. While the three revenue stream only feature euro currency. Here is a slide show which goes into further details on every clubs financial activity in the last 1 year. From matchday and hospitality revenue to TV broadcasting rights money from the league and european competitions as well as the friendly matches club played in the last 12 months. Commeriscial activities include major sponsorships like shirt deals, stadium rights and all the regional sponsorship deals worldwide. Sure Chelsea is pushing up…. Chelsea is will be on the top one day as man united has take the financial leed this year. So will Chelsea be, in some years to come. Am happy over 5 English clubs made top 10. United we stand. Chelsea my team will be better in the near future. Alltime winners[real madrid] we are the best club ever.